Game Boys are awesome! But they've been around for so long, it's no surprise to find they have a thriving mod community. Have you always wanted a purple Gameboy? Maybe you're tired of sitting under a lamp just to play Tetris. Whatever the case, there's nothing holding you back from creating the ultimate Game Boy experience you've dreamt of since 1989. 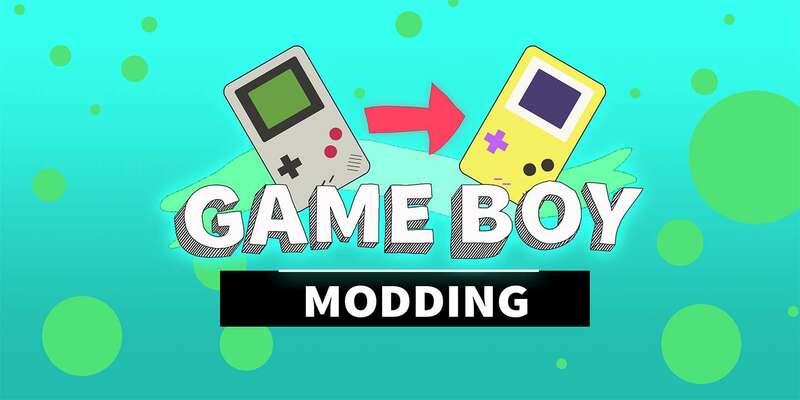 This guide lists the most common Game Boy mods available today. I'm ready if you're ready—now let's get started. Game Boys can be upgraded with an amazing variety of custom shells. In 2018, you don't have to look hard to find third party vendors selling Game Boy shells. Most of them are aftermarket shells, created with the modern modding community in mind. However, it is possible to locate original hardware. 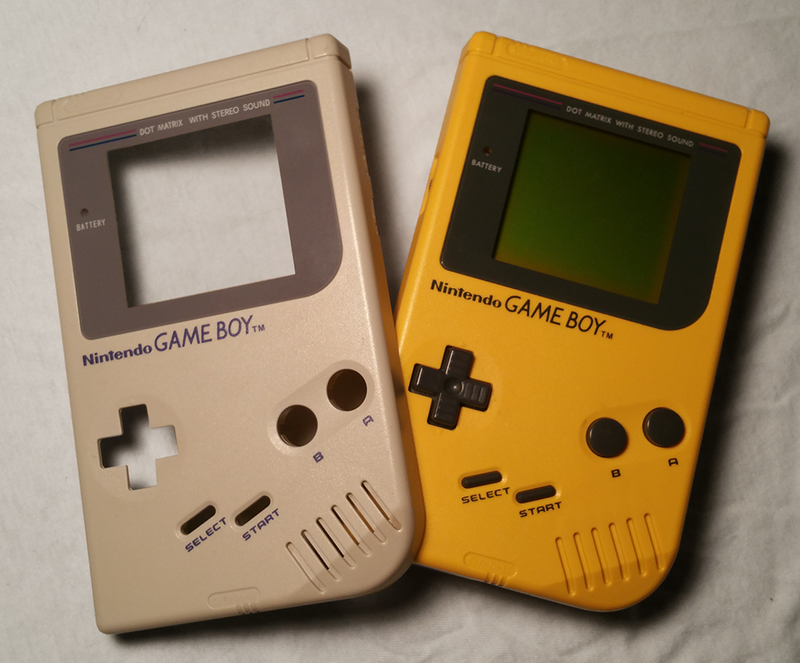 Auction websites and used gaming stores sell old devices and individual Game Boy components. This is great for restoration projects or those who just prefer original hardware. 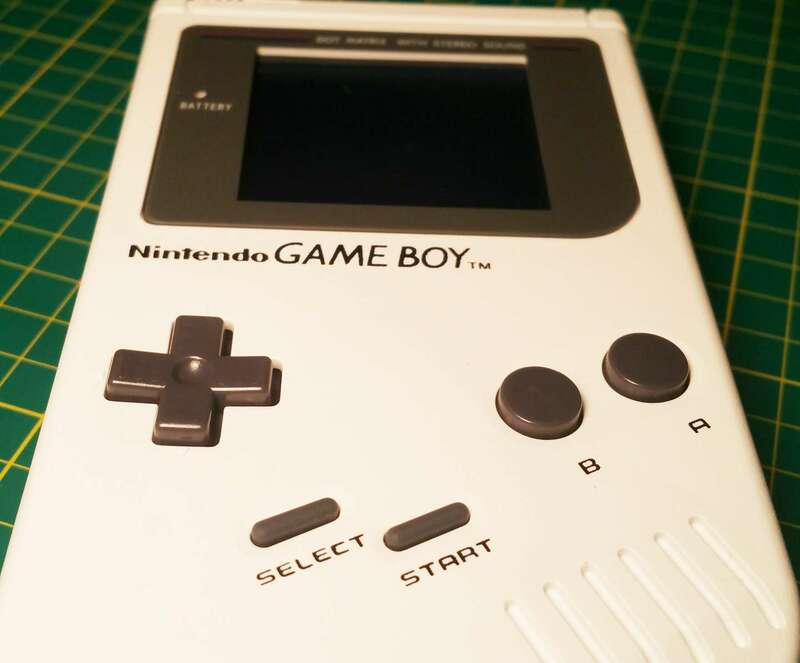 If you want to learn more about customizing your shell, visit our Game Boy shell replacement guide. Another common mod you'll find in the community is custom buttons. Upgrade your Game Boy with brand new controls! They work just like the old ones, but you can choose a different color if you like. Third party vendors sell many custom color buttons to match the wide array of replacement shells. Replacing the buttons is just as easy as replacing the shell with half the work! Just open up the Game Boy, remove the front motherboard, and swap out the buttons. While you have that Game Boy open, it's a great time to fix any button sticking issues—visit our guide to learn how to fix sticky Game Boy buttons. Finding an old Game Boy is awesome. Wasting time to find a lamp to sit under is not. That's why we have the Game Boy backlight mod! After almost 30 years, you can finally install a working light to play your original Game Boy in the dark. This mod is a little bit involved and could potentially ruin the original screen. You may want to avoid using any sentimental hardware. But if you think you're ready, so do we. 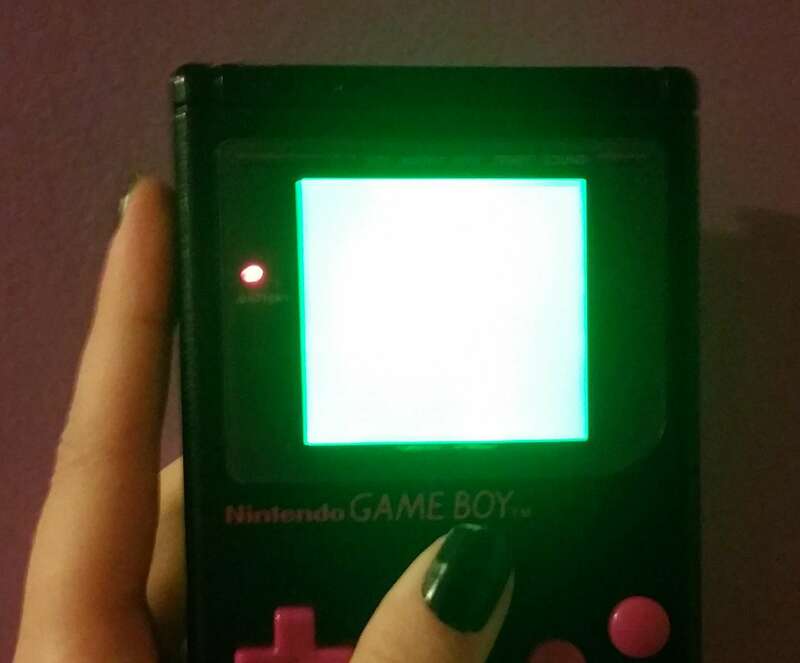 Head over to our Game Boy backlight mod guide to get started! A small side effect of installing the backlight is speaker whine -- I've written a guide to help you fix that. Backlighting an original Game Boy screen has a direct impact on pixel contrast. Rotating the polarizing film can cause the pixels to invert—some modders do this intentionally. For an ideal display, the pixels need to be inverted twice. 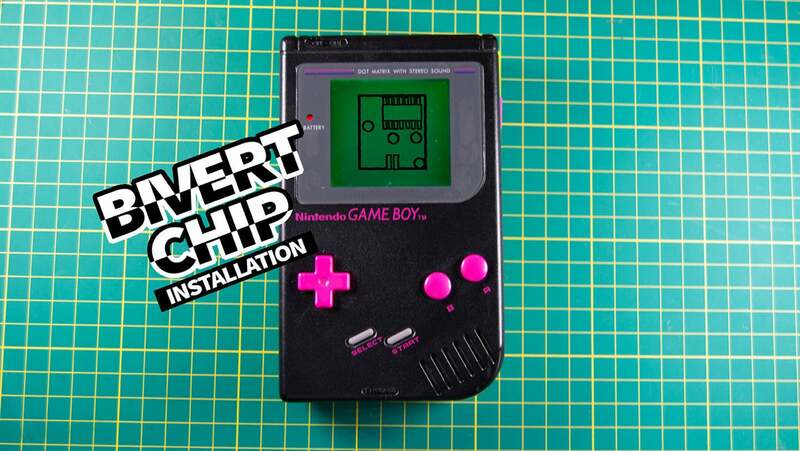 The modding community tackles this issue by means of bivert chip mods. The installation of these chips inverts the signal information for dark and light pixels. This small difference improves the contrast and visibility on the screen. As a side effect from this mod, the contrast wheel now works backwards. I wrote a complete guide on how to perform the bivert chip mod. 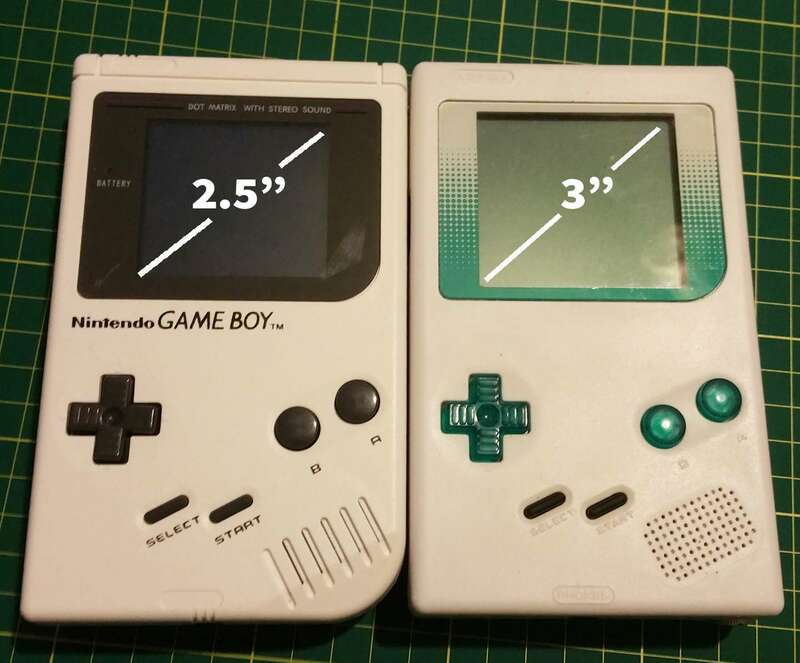 Customizing the bezel on a Game Boy can add an incredible touch to your modding project. The original screen bezels were made of plastic. But you can find a wide variety online, including high quality bezels made of glass. The original Game Boy was released with a gray bezel. But you'll find a rainbow of options online—including custom printed graphics. Your only limit is your imagination when it comes to custom bezel replacement. Game Boy screens are more than necessary, they're iconic. But there comes a time in every modders like when you realize that maybe it would be pretty cool to install that 3" aftermarket screen. Just for funsies, right? Or maybe you've bricked your original Game Boy screen in a failed attempt to install a backlight. Repurpose old components and create your very own “frankenboy”. Add a custom after market screen and throw it in a custom shell while you're at it. There's nothing wrong with taking advantage of modern day upgrades. Original Game Boy audio is so classic, fans have created genres of music based on it. Chiptunes are built on the fundamental sounds created by the Nintendo Game Boy. But what if you wanted to bring out the best of these sounds? If you're into high quality audio, this mod is for you. 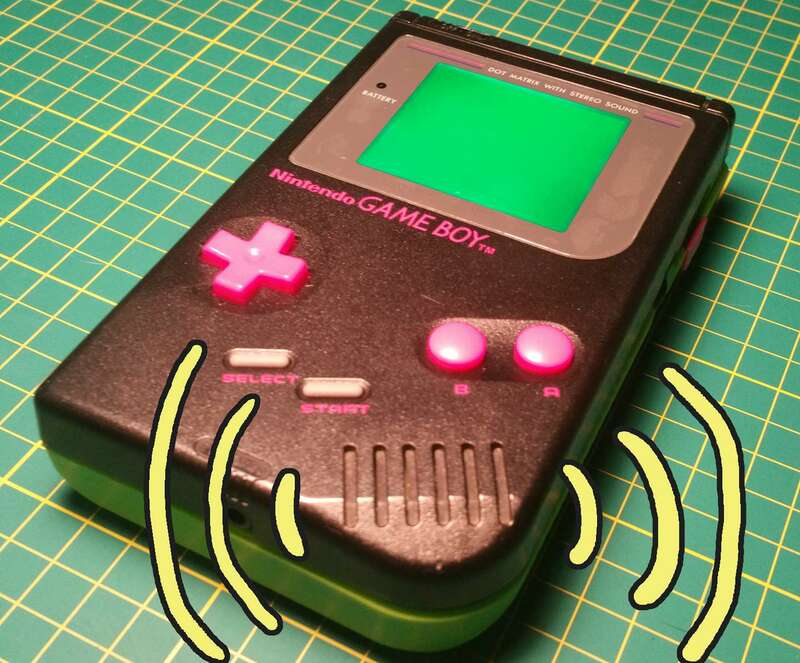 This mod upgrades your Game Boy to let more power through the sound system. Amplify those bass tones and bring out the best audio in your Game Boy. Ready to get started? 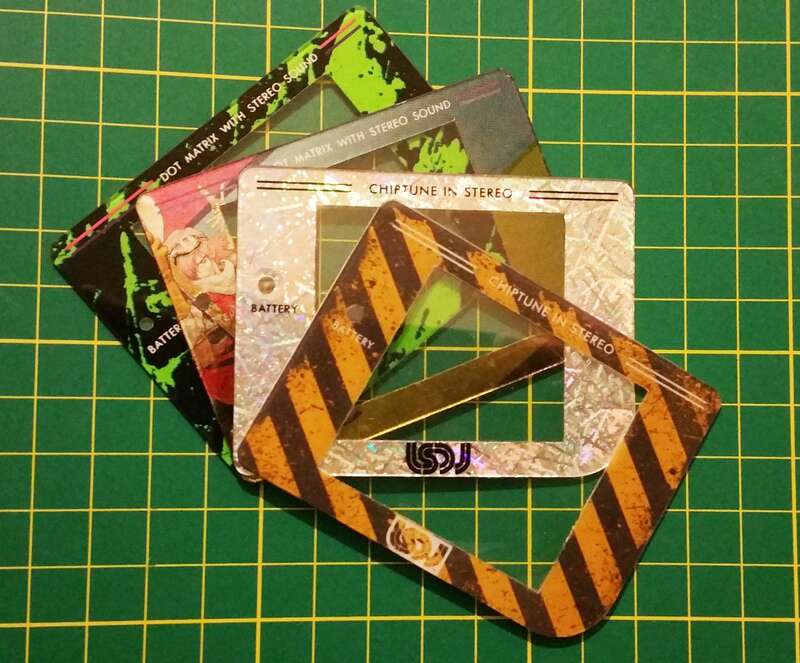 Check out our Game Boy bass boost guide here.